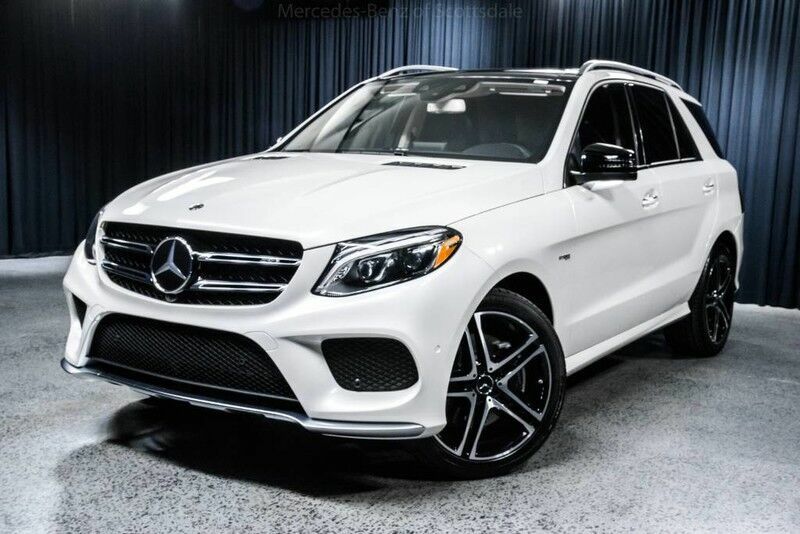 You can find this 2019 Mercedes-Benz AMG GLE 43 4MATIC and many others like it at Mercedes-Benz of Scottsdale. This Mercedes-Benz includes: PREMIUM 3 PACKAGE Lane Departure Warning Automatic Parking Lane Keeping Assist Back-Up Camera Brake Assist Adaptive Cruise Control Blind Spot Monitor Cross-Traffic Alert Pass-Through Rear Seat Headlights-Auto-Leveling TRAILER HITCH Tow Hitch POWER TILT/SLIDING PANORAMA SUNROOF Panoramic Roof Power Windows Generic Sun/Moonroof Sun/Moonroof Dual Moonroof *Note - For third party subscriptions or services, please contact the dealer for more information. * Want more room? Want more style? This Mercedes-Benz GLE is the vehicle for you. Pull up in the vehicle and the valet will want to parked on the front row. This Mercedes-Benz GLE is the vehicle others dream to own. Don't miss your chance to make it your new ride. Few vehicles can match the safety and comfort of this AWD Mercedes-Benz AMG GLE 43 4MATIC. With enhanced performance, refined interior and exceptional fuel efficiency, this AWD Mercedes-Benz is in a class of its own. Contact Mercedes-Benz of Scottsdale today for information on dozens of vehicles like this 2019 Mercedes-Benz AMG GLE 43. Want more room? Want more style? This Mercedes-Benz GLE is the vehicle for you. You deserve a vehicle designed for higher expectations. This Mercedes-Benz GLE delivers with a luxurious, well-appointed interior and world-class engineering. Navigate through all the icky weather with ease in this AWD-equipped Mercedes-Benz GLE, and even get non-stop traction for your non-stop lifestyle! In addition to the amazing traction control, you may even qualify for an insurance reduction with this AWD vehicle. The Mercedes-Benz GLE AMG GLE 43 will provide you with everything you have always wanted in a car -- Quality, Reliability, and Character.